Professionally Manufacture and Custom built high quality Rotary screen printer,Rotary screen printing machine,Rotary table screen printing equipment,Revolving 4 stations screen printing machine equipment. Rotary screen printer,Rotary screen printing machine,Rotary table screen printing equipment,Revolving 4 stations screen printing machine equipment is widely used in printing flat surface of small and accurate articles such as iPhone mobile, glass, instrument panels, cover, plastic sheet, metal plates, boxes, etc. As the machine constructs with 4pcs rotary work stations, it has faster printing speed than normal screen printing machine, and it is more convenient to integrate automatic loading, unloading and drying systems. Servo motor and pneumatically driven which results in high repeat printing accuracy and effectively reduces noise in printing operation. 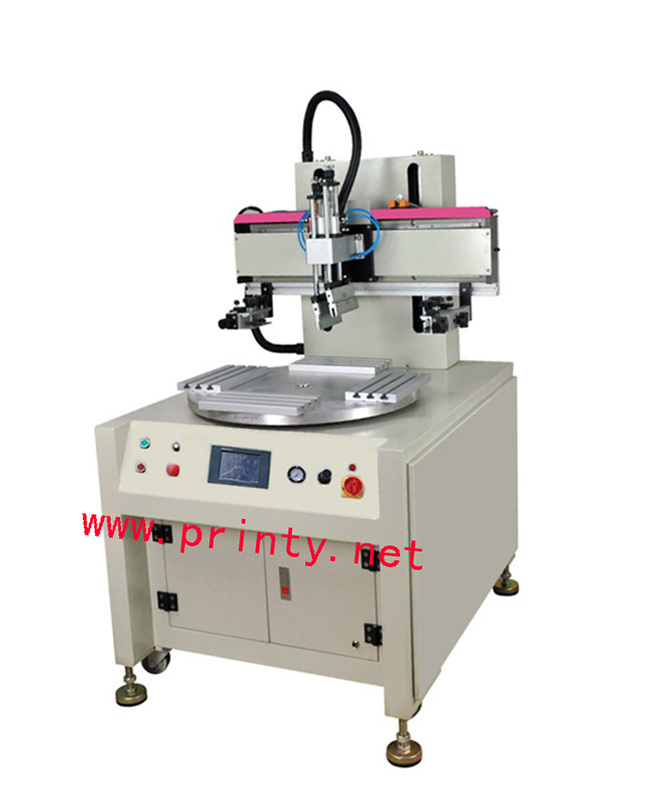 The printing speed etc can be adjusted by LCD tough screen. Silk screens can be adjusted in 3 directions to ensure finest registration.